Mr Dean our new junior teacher has spent 8 years vistiting Kenya and during that time he has built a school for hearing impaired children. The school is next door to a very big primary school. There are 1600 children! It is the biggest in the area. We are going to be building links with the school and hopefully will be able to raise some money to help with their education. The older members of Gillamoor School have the opportunity to meet childrens authour, Michael Morpurgo. This is happening in Malton Milton Rooms on the 13th of October with many other schools attending. Each school can ask Michael one question, we have not yet decided but a few have been put forward. The visit is linked in to the book Private Peaceful that is based on an ordinary family living at the time of World War One. 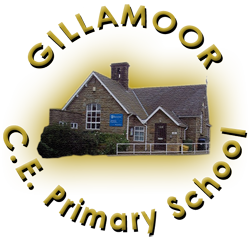 Thank you for visiting Gillamoor C.E Primary School’s blog. This is a new venture for us and we hope to update it weekly during the school year. We will be adding interesting stories and news from throughout our school community. If you have a piece of news you would like to go on our blog just let us know! We hope you enjoy everything you read and will keep coming back week after week.